Prime Location Convenience with the luxury of Space and Privacy! Follow the secluded driveway to your private retreat! Tucked away you’ll find almost 25 acres of lush pastures, wooded terrain, scenic pond and peace. The thoughtful log cabin boasts a master suite on the main, open concept, vaulted ceilings and an abundance of covered porches! Mature landscaping highlights the natural beauty apparent throughout this property. Detached oversize garage with separate 60 X36 shop space will accommodate machinery, car enthusiasts or storage. The Multiple barns cater to the Equestrian needs, 15 matted stalls with attached runs, large turnout pastures, 70 X 144 professional indoor arena and perimeter riding trail too! All this just 5 minutes to Sherwood, Wilsonville or Newberg. The convenience of a prime location and the luxury of privacy and space. Perched atop this parcel sits the quaint home overlooking the rolling pastures and barns. Open floor plan maximizes space and seamless maneuverability through living room, kitchen and dining. Vaulted entry with floor to ceiling windows take in nature at every glance. Main level living with master suite, two additional bedrooms and bath all on the same level. Additional loft perfect for home office, or reading nook. Updated tile flooring and carpet throughout, this well maintained home exudes charm and comfort. Topography elevations allow for territorial views and privacy. Multiple treed pastures, level to gentle sloping terrain. Picturesque small pond inhabited by geese and migratory fowl. Fenced and cross fenced throughout! Enjoy the picturesque views while riding in the professionally designed Dressage arena. Convenient stall setup, each with their individual attached turnouts! On site perimeter trail loop and within 5 minutes to the Equestrian park. Over-sized auxiliary barn perfect for trailers, hay storage and additional lean too turnouts. Easy turn around for driving, parking and hauling equipment. Quiet off the main road locale with gated entrance allows for happy and relaxed horses! 5 ACRE LUXURY HOME WITH 48 X 48 BARN! LOVE WHERE YOU LIVE AND RIDE~BEAUTIFUL HOME & 7 ACRES AND A MT. HOOD VIEW! PRIME PORTLAND LOCATION, AMID THE HUSTLE AND BUSTLE SITS A 33+ACRE EQUINE OASIS! STUNNING HOME AND PROPERTY READY FOR YOUR CRITTERS! GREEN ACRES IS THE PLACE TO BE IF YOU LOVE HORSES AND COASTLINE LIVING! 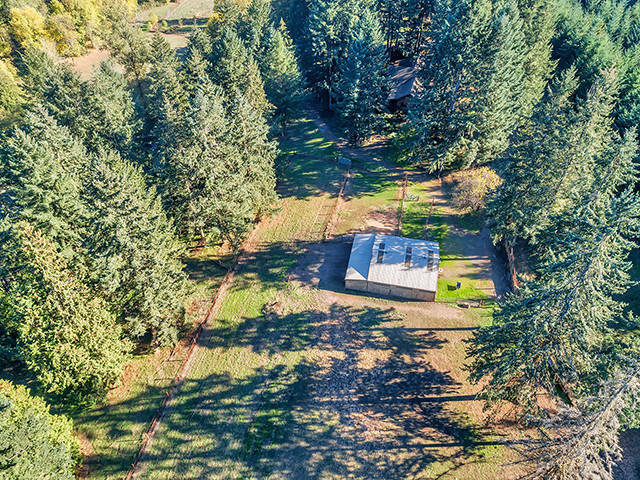 OREGON HORSE PROPERTY AT IT'S BEST ON 16 ACRES! BIG ARENA, BARNS, WATER RIGHTS. REMODELED HOME WITH STABLES, SHOP, AND PASTURE ON 9.2 ACRES. 50 ACRES OF PASTURE & WOODS!!! HORSE PROPERTY FOR SALE WITH BEAUTIFUL 1915 FARMHOUSE!! BEAUTIFUL HOME, 5 STALL BARN, TACK RM, ARENA, PASTURE AND HAZELNUT ORCHARDS! RANCH HOME ON 4.79 ACRES FEATURING A 5 STALL BARN AND A 24X36 INSULATED SHOP! 9-20 ACRES FLAT LAND BARN, SHOP, COMPLETELY FENCED AND A COUNTRY HOME. BUILD YOUR DREAM HOME ON THIS GORGEOUS 5.07 ACRE LOT! RIVER & TERRITORIAL VIEWS! 19 ACRE FARM PROPERTY IN WALTON. REMODELED RANCH HOUSE WITH YEAR-ROUND CREEK. BUILD YOUR DREAMS HERE! 9.67 VIEW ACRES READY FOR YOUR HORSES & FARM ANIMALS! LUXURY EQUESTRIAN ESTATE ON 14.99 ACRES! COME INSIDE ADNARA EQUESTRIAN CENTER, TOP OF THE LINE EQUINE FACILITY! SHERWOOD FOREST EQUESTRIAN CENTER EXEMPLIFIES OREGON HORSE COUNTRY!